Goregaon being one of the prime areas of Mumbai provides easy access to and from airport and important points of interest around Andheri. This is why Konark Residency proves to be so helpful and relaxing as you are never too far away from any place of interest. Konark Residency offers a homely environment where you find pleasant vibes. Natural light streaming in from the windows and comfortable wooden furniture in rooms ensure a pleasant and relaxing stay. CCTV cameras ensure security of your stay. Some of the facilities offered here include elevator, laundry service and free Wi-Fi. 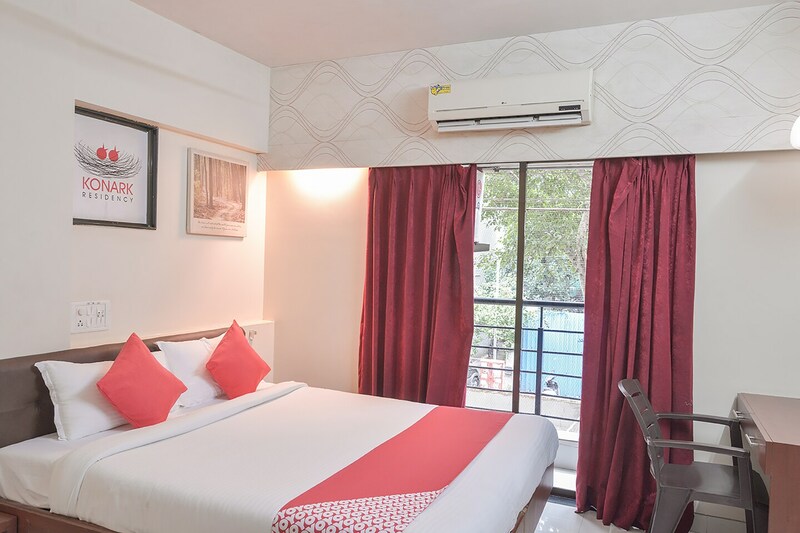 Those looking for a comfortable vacation can easily visit Juhu Beach, Carter Road or Band Stand for sightseeing or Linking Road for some street shopping. Shoppers would love to visit Inorbit Mall and shop from some famous brand outlets.